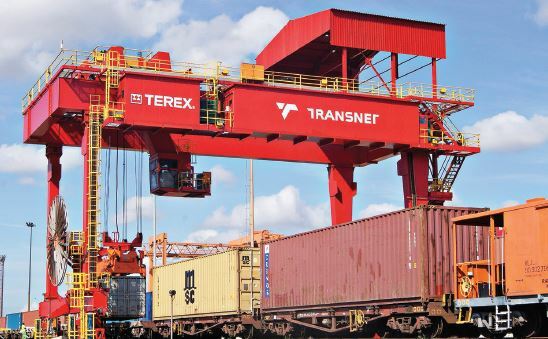 Transnet is the largest and most crucial link of the country's freight logistics chain, delivering thousands of tons of goods around South Africa every day. Goods are transported from sea to land destinations via rail, pipelines and road. The company's vision and mission is to be a focused freight transport company, delivering integrated, efficient, safe, reliable and cost-effective services to promote economic growth in KwaZulu-Natal and the rest of South Africa. Transnet Port Terminals (TPT) is one of five operating divisions of Transnet SOC Limited, South Africa's state-owned freight transport and handling company. Together with the other divisions in the organisation, the company offers integrated end-to-end logistics services. TPT is South Africa's leading terminal operator with a network of 16 cargo terminals across seven South African ports: Richards Bay, Durban, East London, Port Elizabeth, Ngqura, Cape Town and Saldanha. The company is responsible for commercial handling services of sea-route freight across imports, exports and transhipments in containers, bulk, break bulk diversify into other commodity handling such as gas and liquid bulk. Transnet Port Terminals' Durban Container Terminal (DCT) Pier 1, a combination multipurpose terminal previously known as "New Pier", is celebrating its 10th anniversary this year. In recent years, investment in terminal infrastructure at DCT in both Pier 1 and Pier 2 has increased and today the terminal accounts for 65% of all South Africa's container imports and exports, and is the busiest terminal in the country. DCT is served by excellent rail facilities with a total of 302 km of rail tracks extending throughout the port area along with several major marshalling yards. The terminal also has easy access to the main road corridor between Durban and Johannesburg. With vessels growing larger over the decades, widening and deepening of the entrance channel became a necessity. Now improvements to the berths have begun in earnest, and the port's continuing responsibility as the economic driver of the country is assured. Transnet Port Terminals' Durban (BBC) and Richards Bay Terminals celebrated its 40th anniversary in 2016. In recent years, investment in terminal infrastructure has ensured that today the Durban Car Terminal is South Africa's largest car terminal and best equipped in the Southern Hemisphere. It handles in the region of 450 000 units per year. The Ro-Ro (Roll on, Roll off) Terminal is located in the Durban Harbour precinct with direct access to road and rail. The terminal is South Africa's largest Ro-Ro Terminal and the best equipped in the Southern Hemisphere with a NOSCAR status for the last nine years as well as an "International Top 100 Company" status from the National Occupational Safety Association (NOSA). It is also SABS ISO 9001, 14001 and 18001 certified. The Ro-Ro Terminal has the capacity to handle 480 000 Fully Built Units (FBU). The top five customers serviced in the Durban Ro-Ro Terminal are Toyota, Ford, Nissan, BMW and AMH. Over and above handling Ro-Ro cargo, the terminal boasts value added services for customers such as a fitment center for minor and major fittings, data dotting, homologation and a car wash.
Operations at the Durban Ro-Ro Terminal started in 1996, handling rolling stock, which includes all types of trailers, construction and farm vehicles, buses, recreational vehicles, cargo vans, trucks and other vehicles with the registered weight exceeding 3,500 kg. The terminal also handles containers for a niche market, trading with countries like Europe, America, China, Japan, South Korea and Australia. Terminal growth has seen it diversify to handle break bulk consignments as well. The Richards Bay Terminal was initially built to export 26 million tons of coal over the first 10 years. The terminal has diversified so it can now handle in excess of 80 million tons annually and its figures represent approximately 60% of South African sea-borne cargo. The terminals import and export a variety of dry bulk ores, minerals and woodchips. Over 40 km of conveyor belt network system is linked to a Central Control Room and is also linked to eight harbour bound industries.